The urinal the toilet that you can only use if your a man. 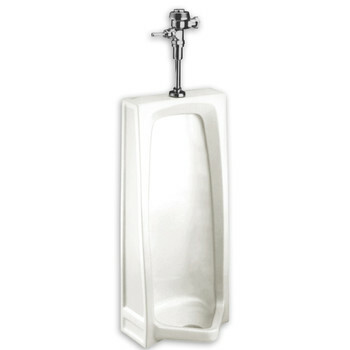 If you want to purchase a urinal make sure it s a shape you like and that it s big enough for your needs. Pay attention to where the exit pipe is it can be in the back or the bottom. Also keep in mind if you want a flushometer.